Step by step – East Asian Makeup. 1. Start by prepping the skin, I’m using ‘Clinique daily defence moisturizer’ and I’m putting that all over the skin. 2. Next I’m using ‘Fix plus’ by Mac to give the skin the refreshing glow. 3. Then I’m adding ‘Baby skin – instant pore eraser primer’ for a good base for the makeup. 4. I’ll start by doing the eyebrows using my Sleek pallet in the colour dark. Using the wax to start off with, getting a sleek looking brow and go over it with the powder completely filling in the brow. Using the eyebrow brush by Real techniques. 5. Underneath the eyebrows I will apply a concealer, to give the eyebrows more of an edge finished look, with a flat C170-4 brush. 6. Go back over the eyebrows with powder if needed. 7. Next I’m applying ‘Select cover up’ by Mac NC20, all over the lid for a base to help the makeup not slide during the day. Blended with a 217 brush by Mac. 8. Applying ‘Buck’ from the Urban decay naked 1 pallet in the crease of the eye to create a deeper socket line and again blend up with a 217 brush. 9. Using the colour ‘Verve’ by the Urban decay Naked 2 pallet apply all over the lid using flat eye shadow brush by Fraulein. 10. To get the full intensity of the purple pigment, I’m using 3 different purples. First I’ll be applying from ‘Elf purple pigment’ colour in the crease and outer corner of the eye lid. Using an angled brush by Royal & Langnickel. 11. The next purple I’ll be using is from the Electric pallet by Urban decay using shade ‘Urban’. Again into the crease and outer corner for more intensity. 12. To get a darkened out edge I’ll be using ‘Young punk’ by Mac. It has a mixtures of colours as it’s from the Mineralise eye shadow line. Also apply some fix plus to your brush so you can get the full effect of the pigment. 13. To get a perfect shaped eyeliner flick, I used a bit of tape from the end of the eyebrow to under your lower lashes. 14. Using a mixture of the new ‘Benefit push up liner’ and Mac ‘Black track B43’ to create a nice eyeliner finish. 15. Now take off the tape from under the lash line and you should have a nice eyeliner finish. 16. Next apply a tiny bit of mascara, I’m using the ‘Collection 2000’ by Max Factor. 17. 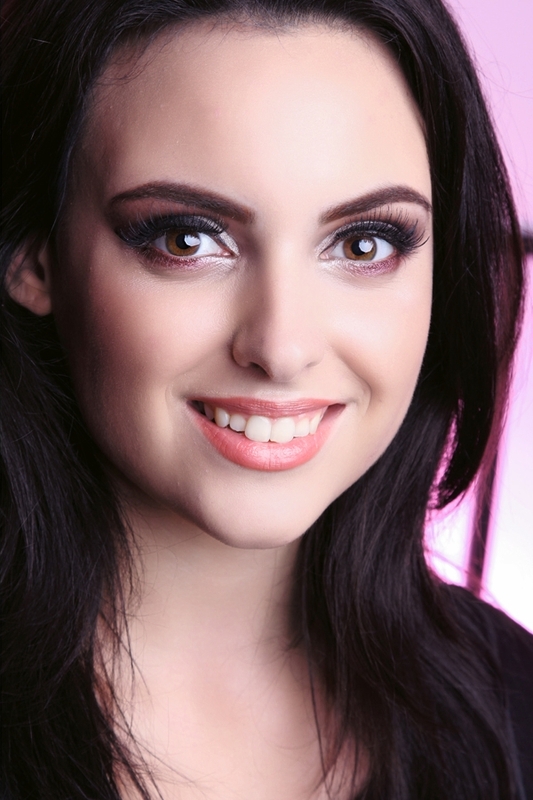 Apply some false eyelashes to enhance the look, using Duo glue and tweezers. 18. Apply the ‘Elf Purple pigment’ under your lower lashes to enhance the purple eyes, with a small angled brush and blend with the Urban decay – Naked 3 blending brush. 19. Apply ‘Select cover up’ by Mac over blemishes and dark circles with a concealer brush. 20. Next for the foundation, I mix ‘Face and body N1’ by Mac, with ‘Studio Sculpt NW25’ by Mac. I mix the two to because I don’t want the end result looking too oily and wet. Applied with an Expert face brush by Real techniques. 21. Next apply ‘Set powder’ by Mac to stop the makeup from sliding. Apply with a Powder Brush by Real Techniques. 22. For contouring, starting at the top of the cheek bones, I apply ‘Sculpting powder’ by mac with a Contouring brush by Real Techniques. Using it over the cheekbones and jawline and temples. 23. After contouring, apply some bronzer over the cheekbones, I’ll be using ‘Baked blush’ by Elf. 24. I’ll apply highlighter, sitting on top of the cheekbones by using the product ‘Urban decay Illuminator’. 25. Apply ‘Spice’ by Mac Lip pencil. 26. Next apply ‘Baby lips’ by Maybelline to give your lips Hydration in prep for the lipstick. 27. Lastly, apply ‘Hug me’ by Mac all over the lips to give your make up the beautiful finish.